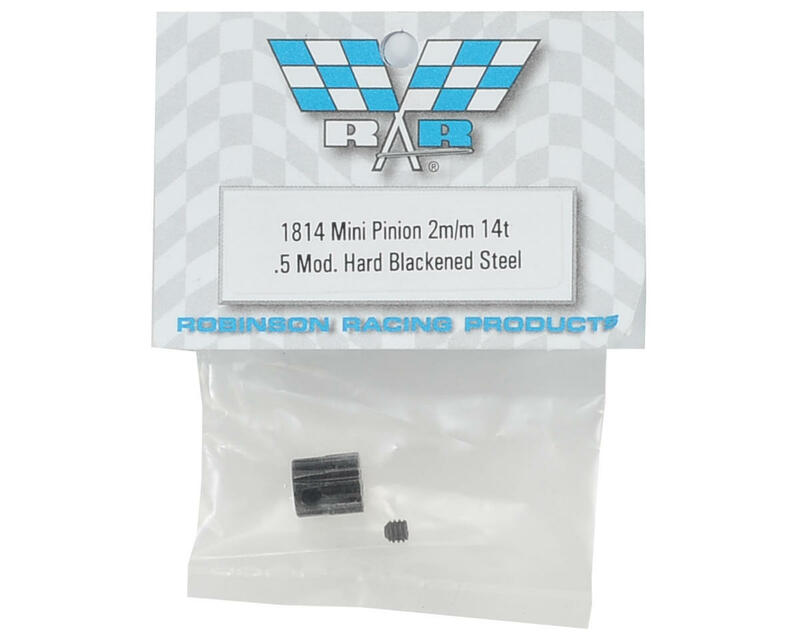 This is a Robinson Racing Hard Blackened Steel .5 Mod Mini Pinion with a 2mm Bore. 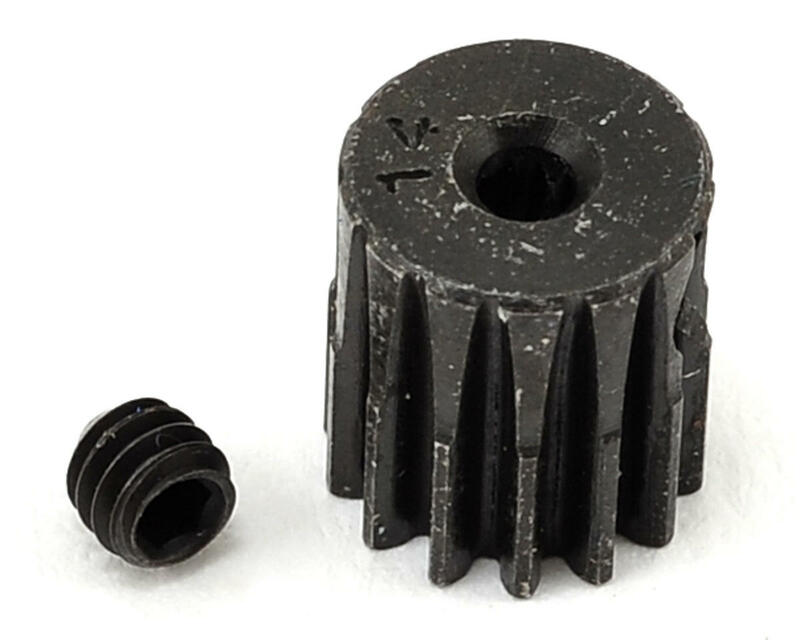 Compatible with 2mm motor shaft, .5 Mod applications, these hardened steel motor pinions have a blackened finish that reduces friction and galling characteristics delivering a better mating surface and smoother running gears. All pinions precision machined and stamped with the number of teeth. One 5-40 set screw included. Use the pull down menu above to select the tooth count.